I love this time of year for many reasons. Candy Corn is one of them. I don't know why I love those little yummies, but I just do. I decided since grown up's need candy and cards too, I would make a grown up candy card! I also just wanted to bow to the candy corm gods, so I could fairly get my fall rations, and maybe some extra! This card was pretty quick to make and required no fancy machines! Anyone can do this! I used my straight paper cutter to cut the yellow and white layers to size. I like to just filp over, mark with a pencil and cut! 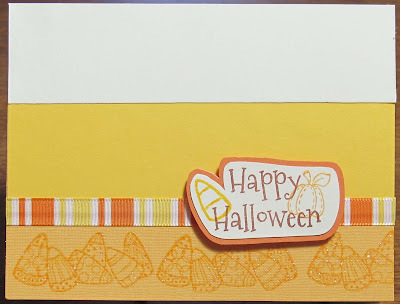 Then I stamped the bottom of the orange card base with that cute fancy candy corn border. First in orange to highlight the color, then with my Versamark so I could add embossing powder, that sparkles and adds a little texture! See the close up below. I was lucky enough to have some candy corn colored ribbon on hand. Last I stamped the sentiment and the little decorations from my Peachy Keen Sept. stamp of the month kit. First I hand cut the white layer, then glued it to an orange scrap from my box, and hand cut the shadow as well! So see, ANYONE can make this card with what they have on hand! Fun, right? Okay, so it's really hard to catch sparkle dimension on a card with a camera, but really, it looks great in person! Hope you enjoyed to day's fun! Have a fabulous week friends! 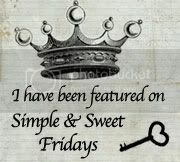 I have enjoyed all of the wonderful and sweet comments this week SO much!!!! Such a beautiful card. I love the sparkly candy corn. What a great card for a adult or someone who you would not appreciate a scary card. 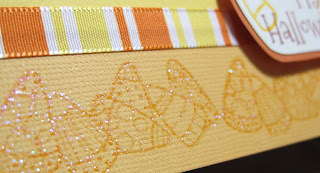 Love the colors and the ribbon is perfect, looks like the candy corn. I'm very excited to have you as a part of the team. 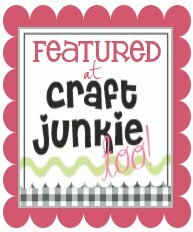 Love your Candy Corn card! !Love to eat Candy Corn. LOL...Love the sparkled candy corn!Great Card!Great Job! !Welcome to the MCC Team!!! On may way over Heather! Thanks for stopping by! Thanks for stopping by AJ! :) I always appreciate your nice comments! i found u through the naptime review blog and now follow thru GFC. 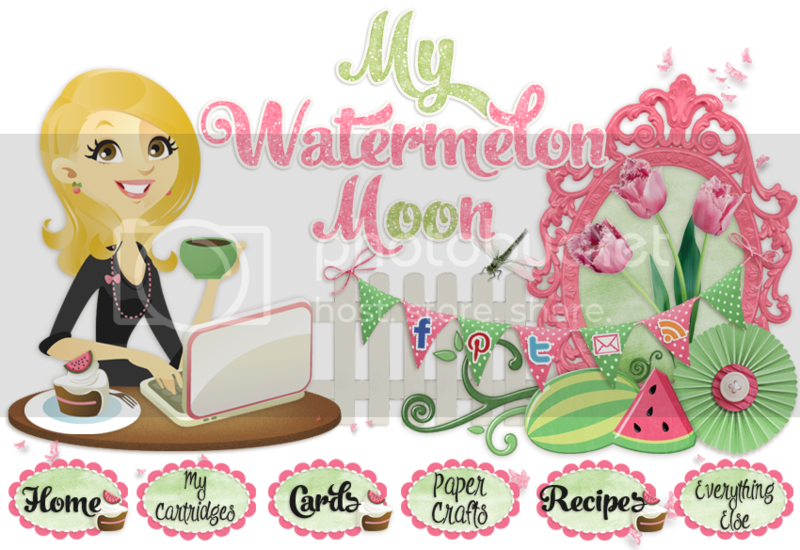 your blog design is so bright and happy...love the 3D looking flowers.